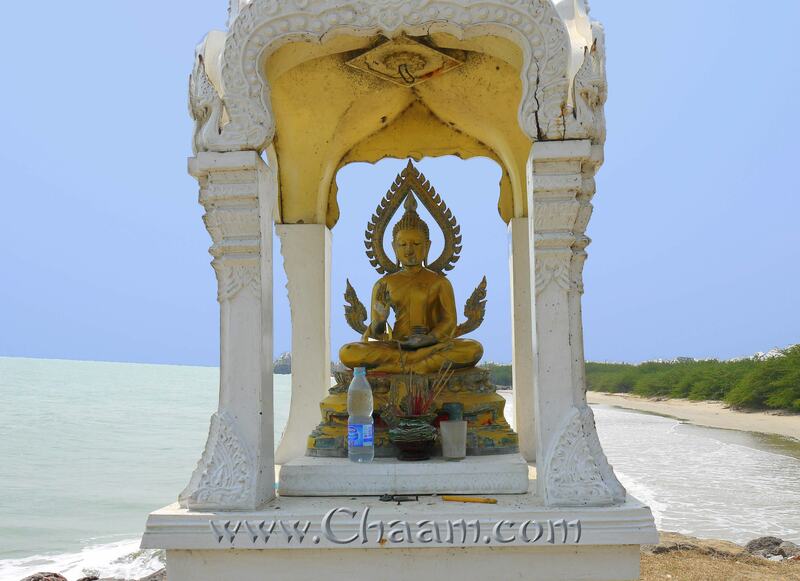 About 17 km north of Cha-Am you find the small town of Puek Tian, ​​directly at the Gulf of Thailand. In honor of the most famous royal poet of Thailand, Phu Sunthon ( * 26 June 1786 in Bangkok , † 1855) this water statue park was built. The poet Sunthon Phu (or Sonthorn Phu) wrote in the 19 Century the story of Phra Apai Mani, in which the same named prince was kidnapped by the female giant pee Seue Samut. 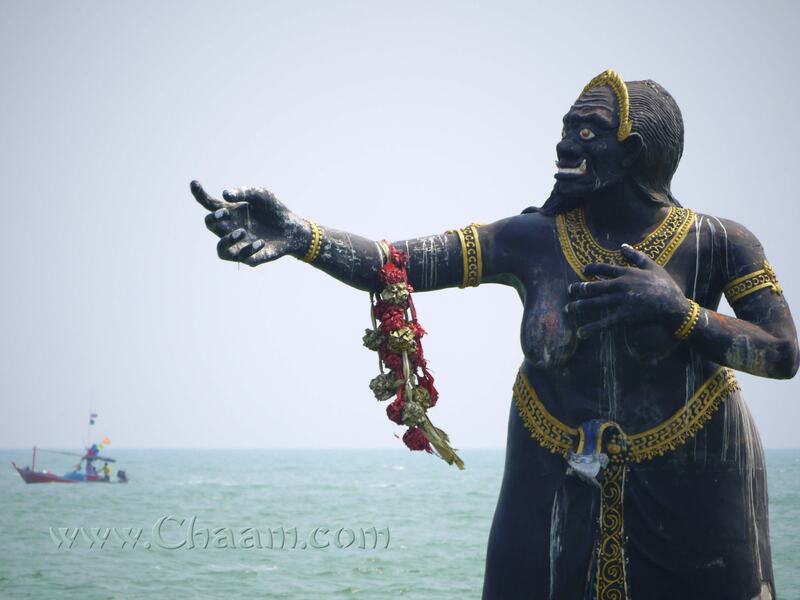 She transformed herself into a beautiful woman, in which Phra Apai Mani fell in love ​​and he became the father of a son. After many years Phra Apai Mani found out the truth, grabbed his son and ran away from her. For the avoidance, a family of mermaids helped him. 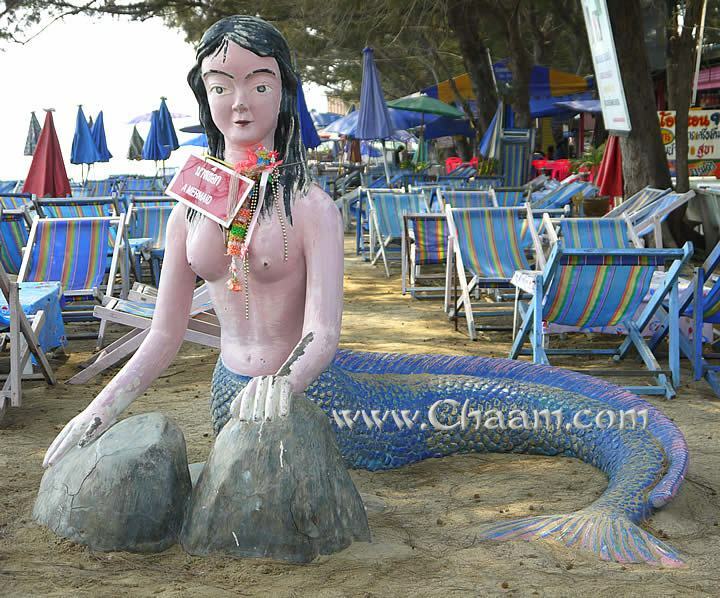 In the beautiful daughter of the mermaids Phra Apai Mani fell in love and became the father of his second son, Sutsakhon. But the story was not over yet - it just starts. 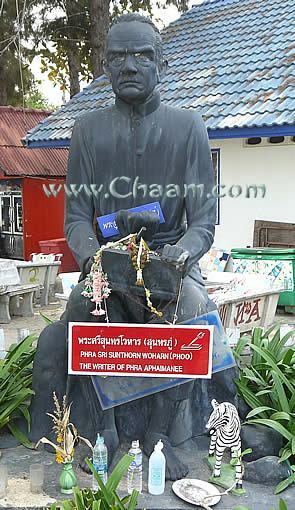 The story of Phra Apai Mani was published in a 2003 Thai fantasy film. 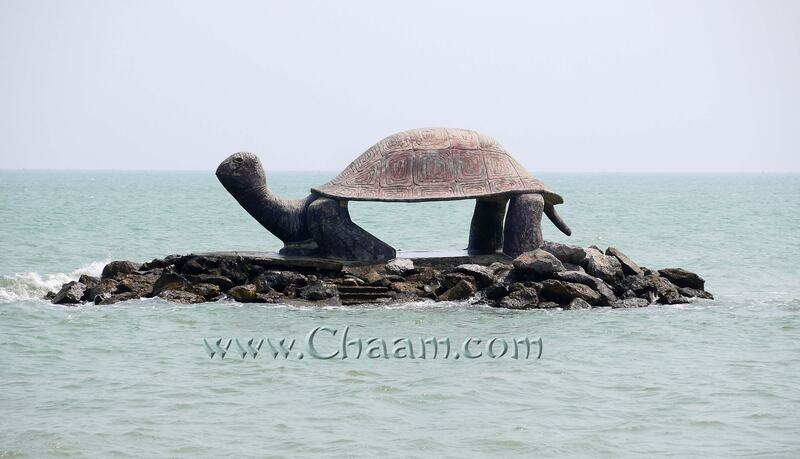 Some of the figures were built on small islands in Puek Tian . A wonderful sight and one definitely worth visiting ! 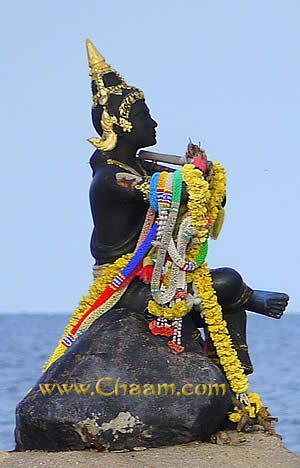 With the Magic Flute Phra Apai Mani could not only deceive the people and stun, he even managed by the sound of his flute, that the soul is leaving the body and die. 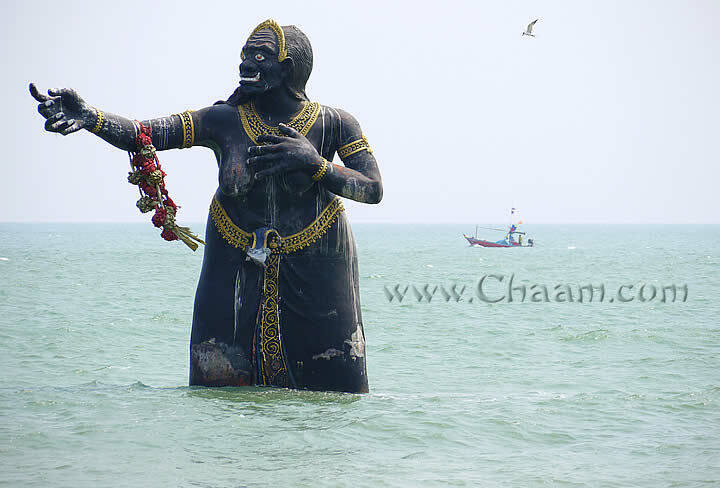 Pee Seua Samut is here build as a 6 meter figure and she stands in the water, pointing towards the rock where Phra Apai Mani sits and plays his magic flute. With her right hand she beckons him. 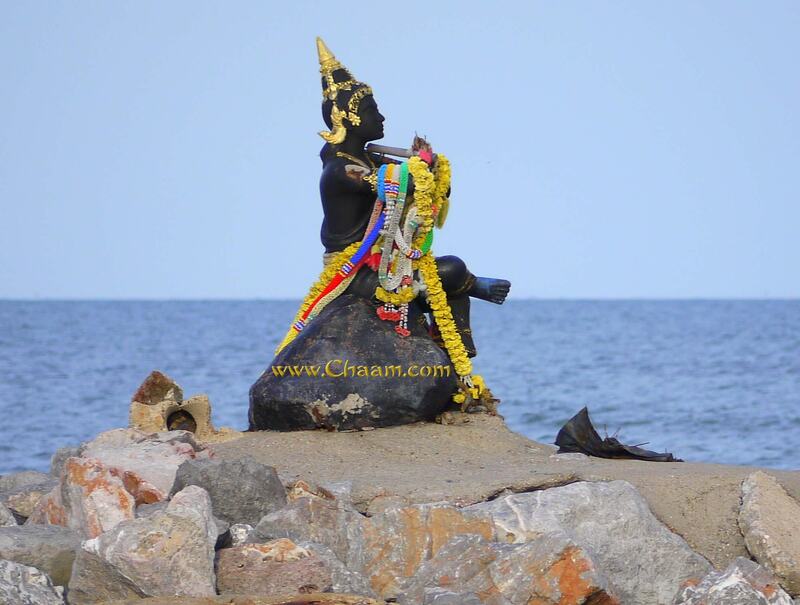 The flowers, the Pee Seua Samut carries are renewed daily. 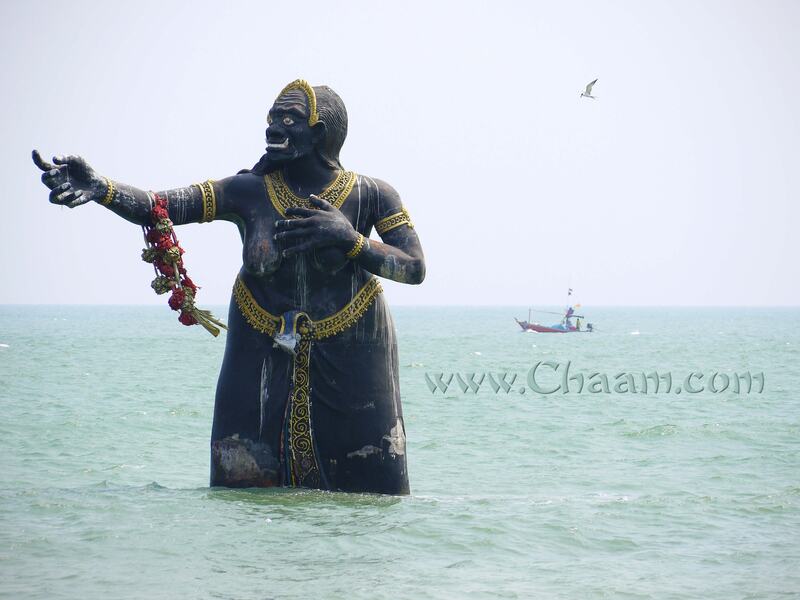 According to the legend, Pee Seua Samut is still angry that she has lost Phra Apai Mani. Each year she attracts a man into the water and she let him drown. 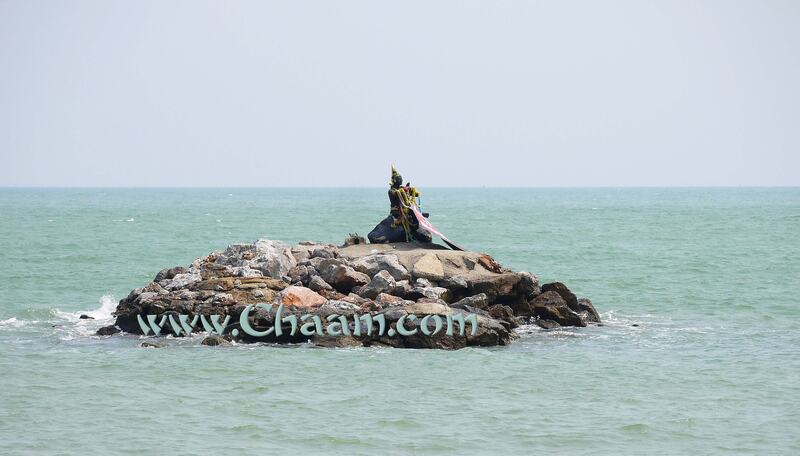 Take car when you want to go swimming, because in Puek Tian are strong shallows and currents! Beware there to go swimming. 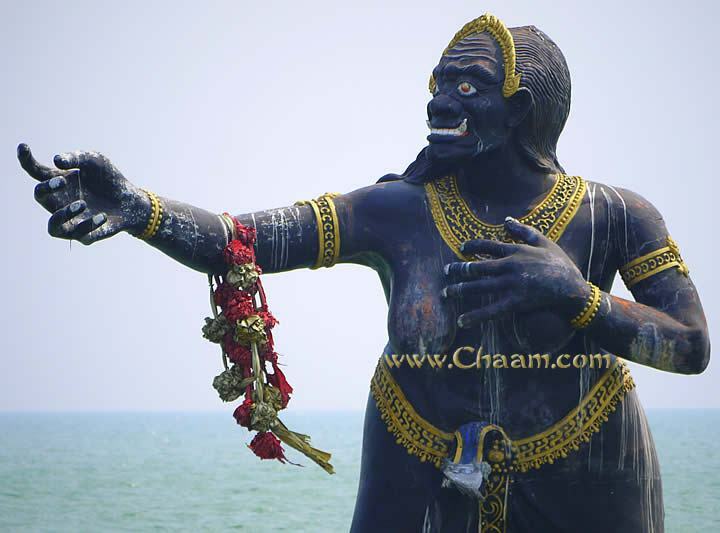 Otherwise you can carry the curse of Pee Seua Samut. 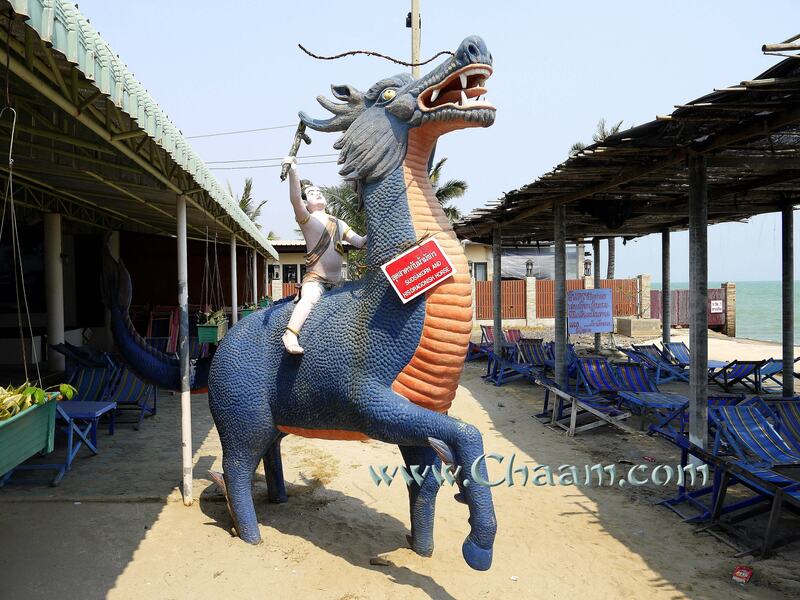 Sudsakorn, the son of Phra Apai Mani and a mermaid is riding on a tame dragon. The figure of the mermaid who has helped the prince Phra Apai Mani for his escape. A giant turtle on a small rocky island near Puek Tian. 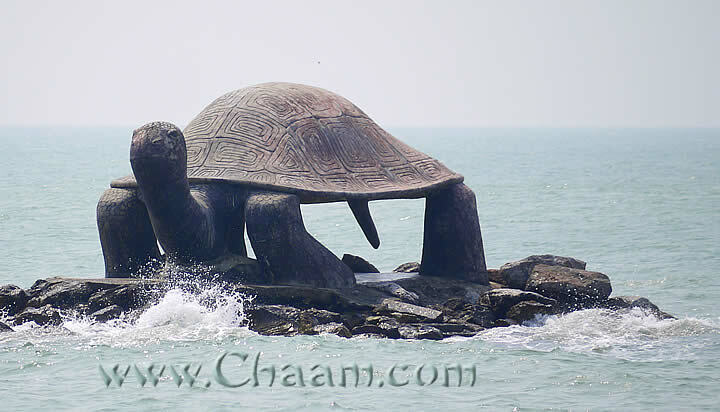 The turtle is made of stone and it is about 5 meters long and decorated beautifully. The weigh is several tons, but it is an absolute eyecatcher! 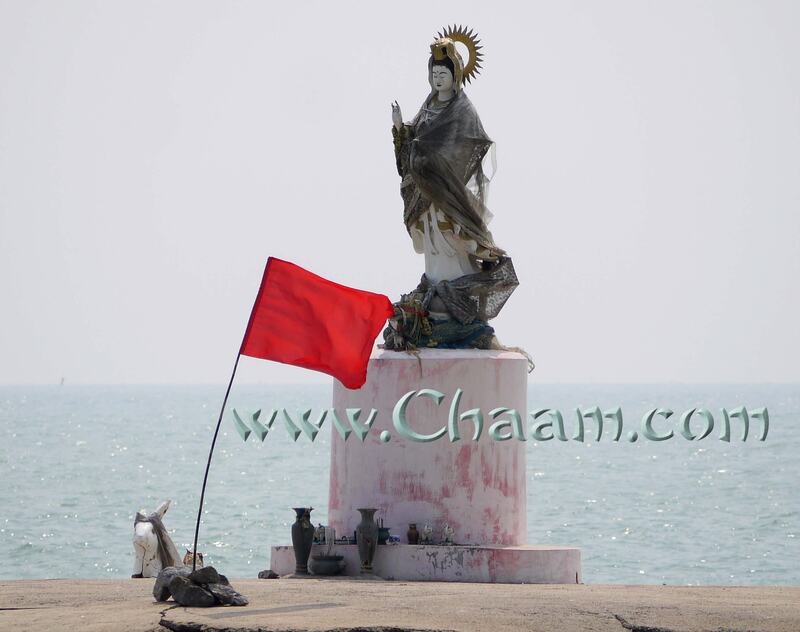 On another small island is the goddess Chao Mae Guan Im, who care of the ocean. 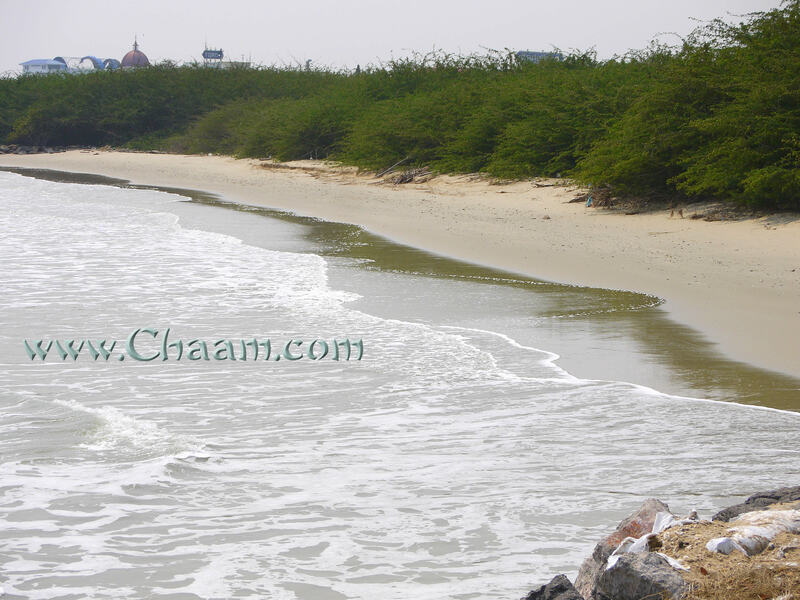 Puek Tian also has a small but beautiful sandy beach. 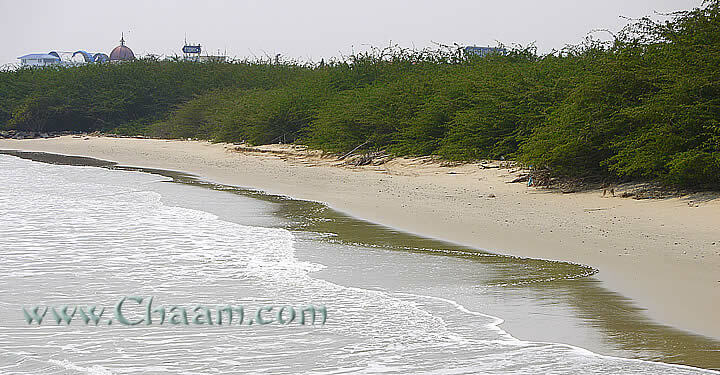 The beach is a small, protected bay so you can also go into the water. But beware to swim further, the currents can be really treacherous, also for good swimmers. On a small platform is a Buddha figure, which is equipped daily with drinks, food , fresh flowers and incense. 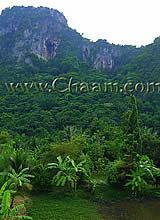 Puek Tiam is a beautiful destination for an excursion from Cha-Am. Directly at the beach is also a restaurant, but it offers low food quality for high prices.